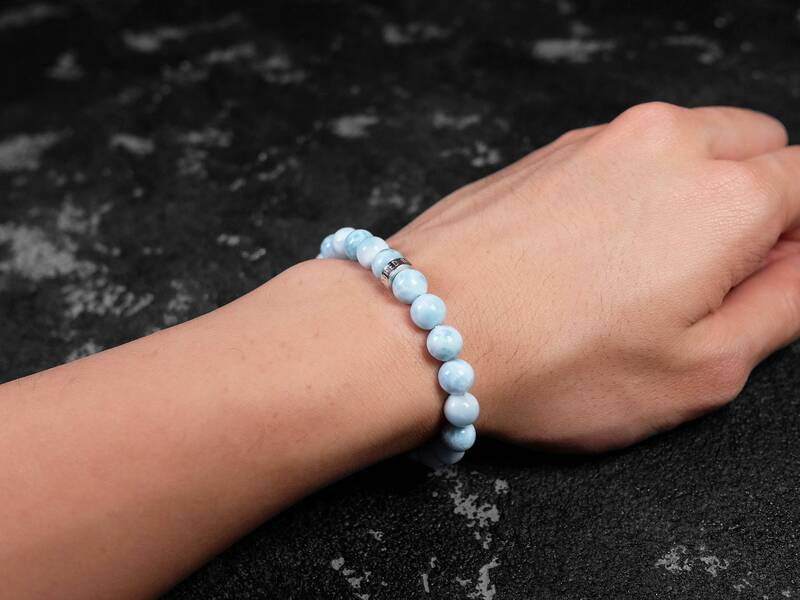 This bracelet uses natural and genuine larimar from the Dominican Republic. 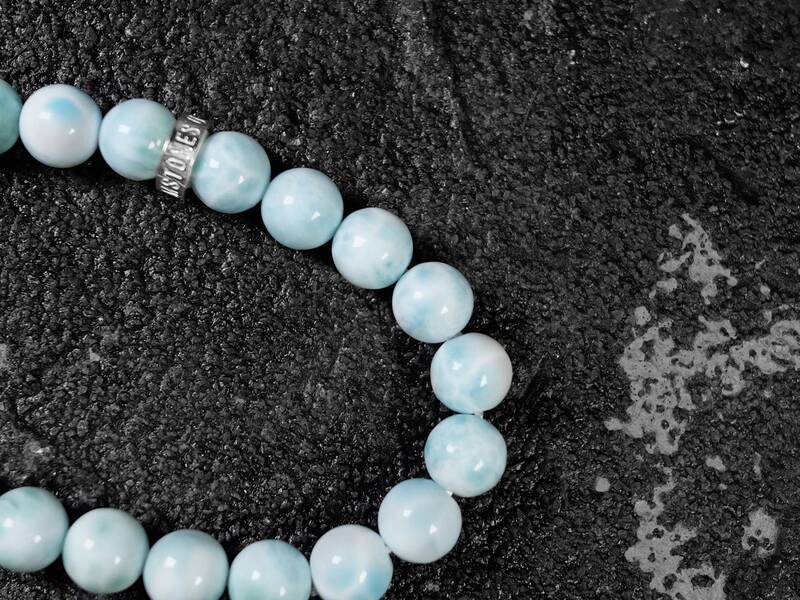 Subtle wave-like pattern is found throughout the bracelet, making it a joy to look at. 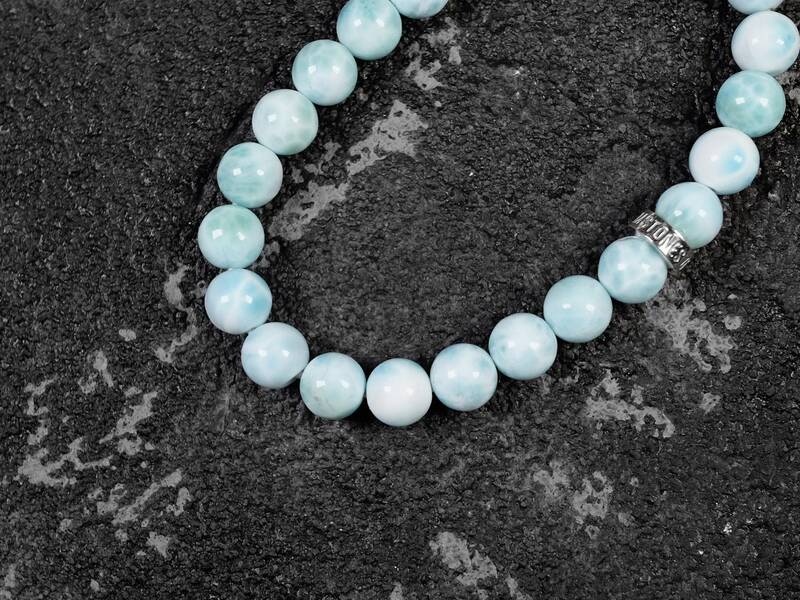 Only a few black and dark spots are found in this larimar, which is quite rare. Overall very good quality of this rare gemstone. 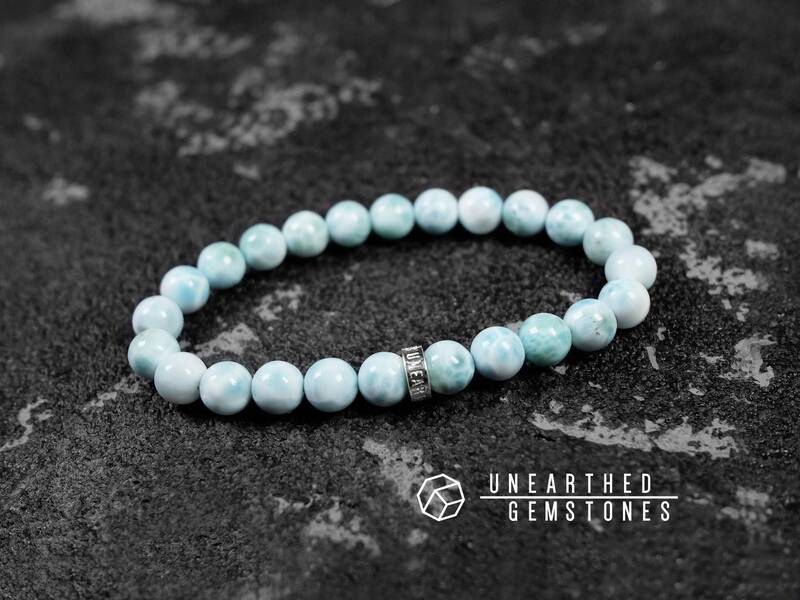 With the Unearthed Gemstones sterling silver, this bracelet is a great way to showcase this beautiful blue gem. 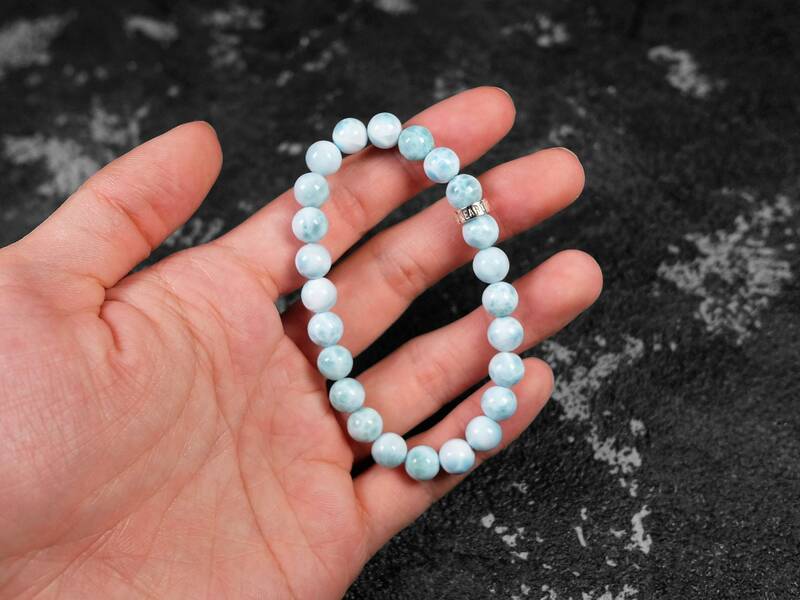 Please be aware of the fake larimar in the market. Usually they only have a few shades of light blue to ocean blue colors, and the pattern separating the colors are more distinct. 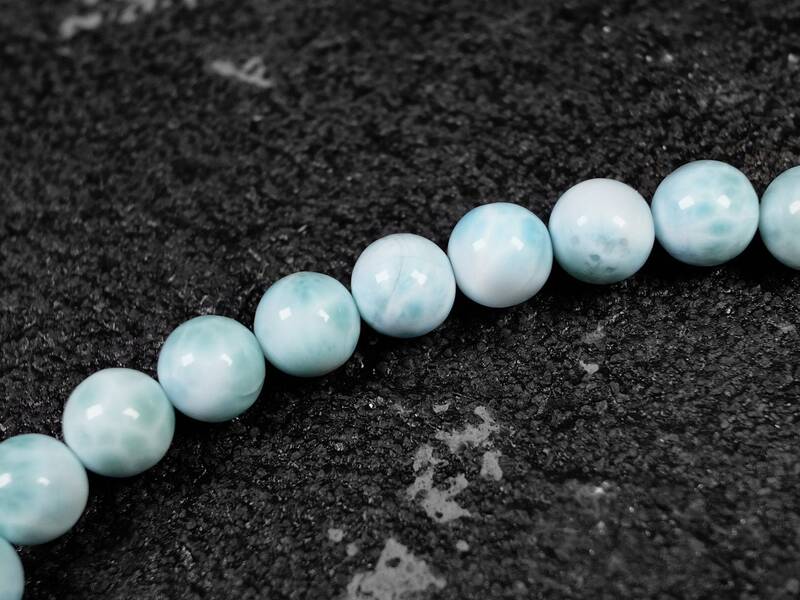 Compared with genuine larimar, the real one usually has more white with some grey spots throughout the stone, and smooth transition between colors. Larimar is a blue variety of the mineral pectolite. 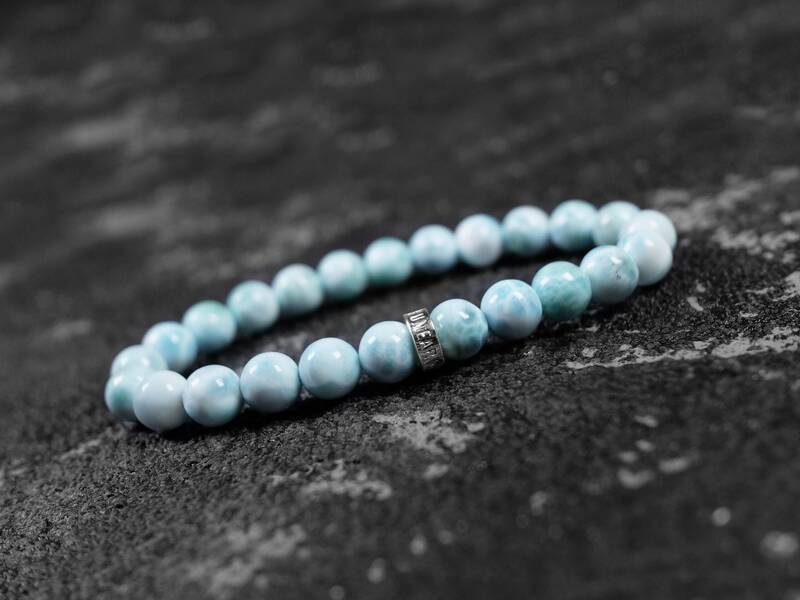 Larimar is a rare gemstone only found in the Dominican Republic and Bahamas, and it is one of the very few gemstones found in the Caribbean. 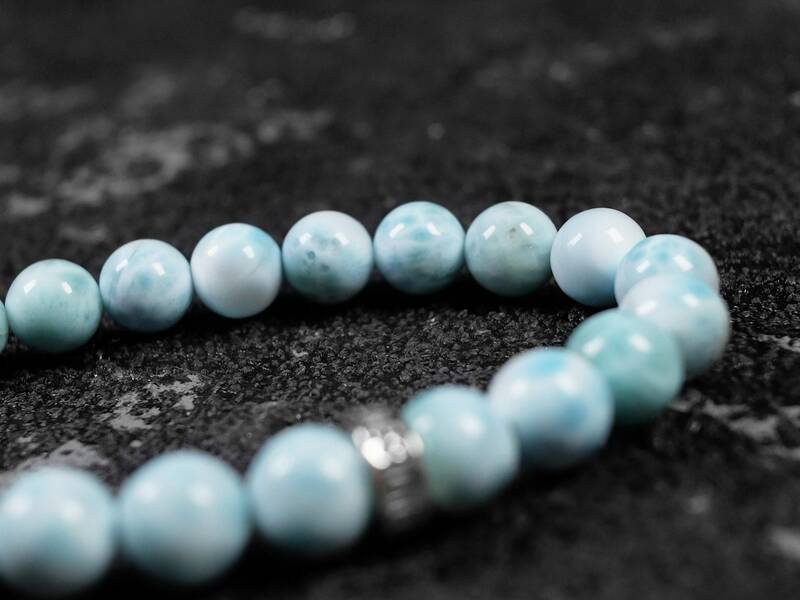 Sea-blue colored larimar with white swirly patterns is very desirable as it resembles the beautiful Caribbean Sea. This was my first purchase and I've already placed another order. The quality is outstanding. Andy is so pleasant to work with. Thank you. 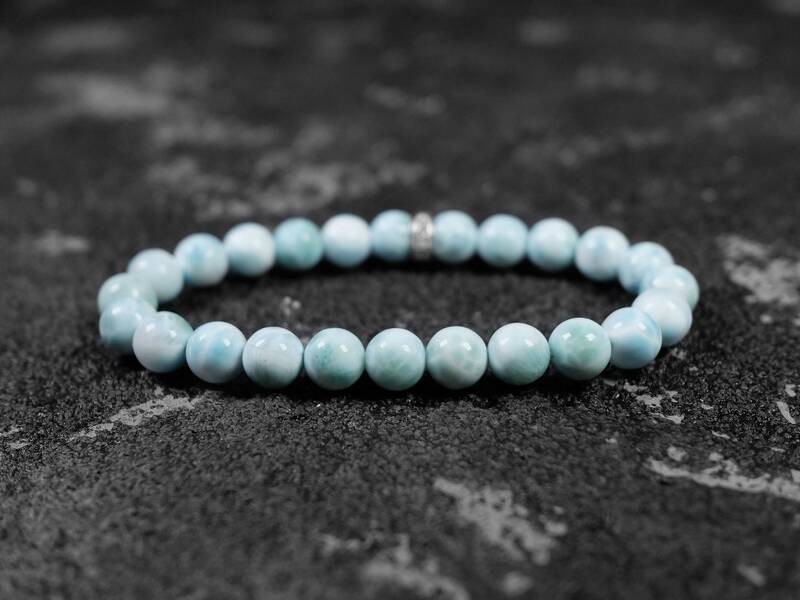 I love this Larimar bracelet! :D Larimar is one of the rare gemstone so I'm so happy to be able to wear it. 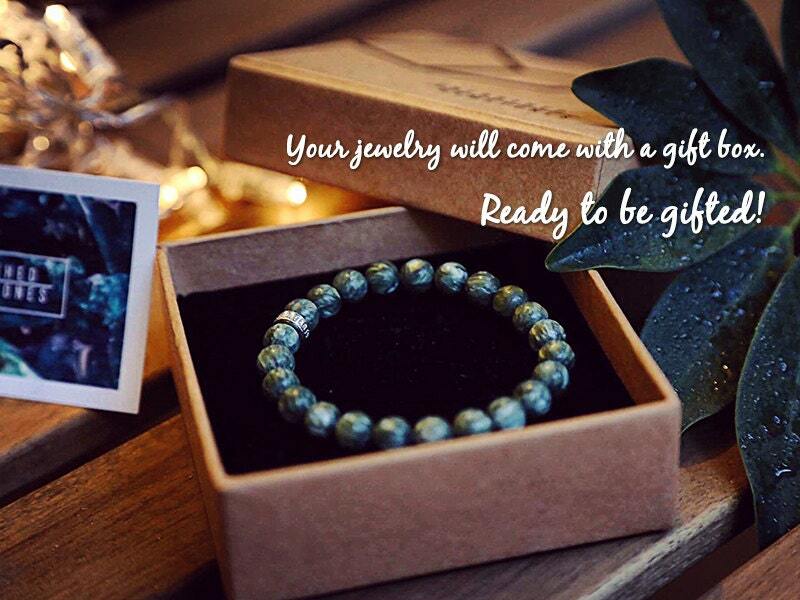 The beads are authentic and in great quality.